In the United States software is patentable, and recent decisions from the Federal Circuit are providing new hope that hasn’t existed in the industry for years. We typically refer to such inventions as computer implemented processes, but in the end it is software that is being protected. Software can be protected in the U.S. if it is unique and tied to a machine. Most importantly, to be patented software really needs to offer some kind of identifiable improvement. Merely doing something that is known on a computer is extremely unlikely to be patentable. The “unique” requirement is a short-hand way of saying it must be novel and non-obvious, which are core patentability requirements for any invention. The requirement that the process be tied to a particular machine is not really much of a limitation if you really have a computerized process, but it is there to make sure that whatever protection you do ultimately obtain will not extend to so-called “pure business methods.” In other words, you cannot patent a process done in your head, but if that process leverages a tangible machine, such as a computer, now you have something that is patent eligible and which will receive a patent if it is described properly and is unique. When dealing with software patents the process we follow is rather straight forward; we view the innovation as a system that provides a desired set of functionalities. We work with clients to consider the project with an engineering mind set, which requires understanding of the overall design, but also requires more detailed understanding. We first want to start out with the broad vision and then drill down to the specifics, which allows us to protect the broadest aspects of the invention as well as the specific features and implementations. This leads to the strongest, broadest software patent that can be obtained. Which functionalities are unique and why? How does the rules engine implementing those core functionalities handle and manipulate information? Because human actors will interface with the system we can anticipate mistakes and errors, so what compensation is integrated to address this inevitable human element? What problems are solved by your solution and how is this more advantageous than any other known solutions? Uniqueness can and will reside in many places when dealing with software and computer process related inventions. We first work with you to uncover that which is unique and most likely patentable, and then we set about working to get it protected — patented — so you obtain a valuable business asset — a software patent that provides a meaningful foundation to build on. I always recommend that inventors seeking software patents start with a patent search. Typically there is always something that can be patented, it is just a matter of finding out what is unique and how to describe it to accentuate the uniqueness of the invention. Ultimately, the question is usually whether the patent claims that can be obtained will be broad enough to warrant the time, money and expense associated with obtaining a patent. When I do a patent search for computer related technologies and software inventions are comprehensive and employ a multi-phase search. This allows us to learn more about the invention little by little in context of the prior art we locate. We work together with the inventors in a cooperative approach. By the time the search process has concluded the inventor will have a 5-7 page single spaced detailed assessment, a complete patent search report detailing everything that was located and we will thoroughly understand the invention and likelihood of obtaining protection. 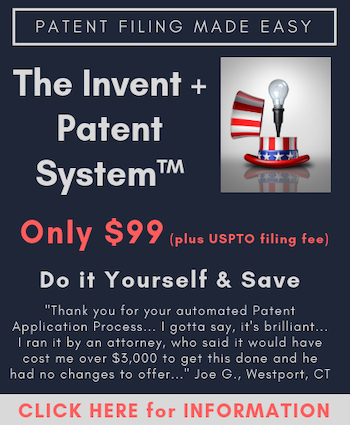 This approach allows for a much more detailed patent application. For more information about our patent search process please see Patent Search FAQs. Software Patent Basics: What Level of Description is Required? I always recommend my new clients read at least these articles to get an idea about the project, what information I will need and how we approach the overall task. The more you understand about why we need what we ask for the better the results. It will make you a better inventor because you will be more in tune with what information is required and it will help you to identify a great many things that are likely capable of being protected that you never considered as patentable. If you need assistance with a software patent, Internet technology or computer device send me an e-mail. My firm and I have quite a bit of experience with software patents and related technologies, and I even have my own software patent application pending on a computer implemented process, so my interest in this area is both as a legal representative and an inventor.